Dude… Why is There a Giant Sonic Statue In China? Update: Apparently this building is where Sega’s Joypolis China is located! So that might explain it, but if it’s not that makes this story even better! Original Article: We don’t know why. 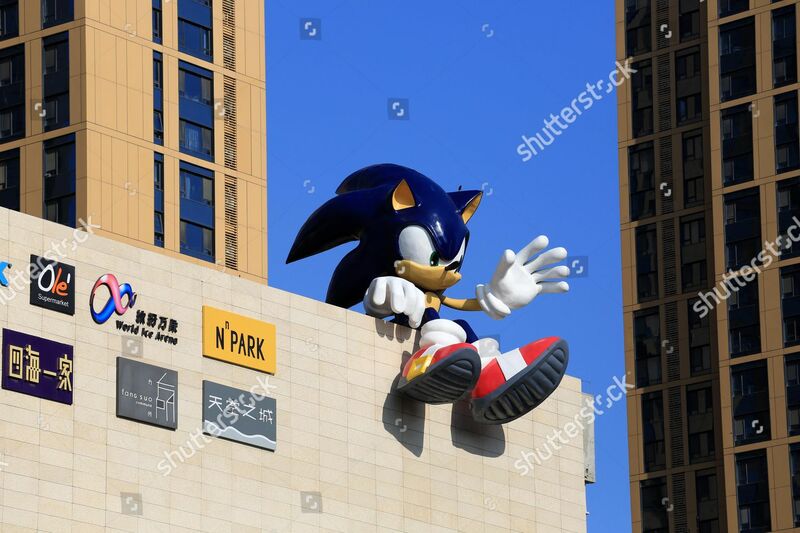 But there is a giant statue of Sonic just sitting on a building in Qingdao, Shandong province China. It’s been there since August of last year and… that’s all I can find out about it. So don’t ask questions… Just sit back and enjoy giant Sonic waving at the little people. Maybe make the odd Attack on Titan joke or giant related pun… But for now, just sit back, relax and wave. On that fateful day, mankind realised. Home, was a green hill. The statue had been there since the opening of Sega Joypolis China in 2015, and was a known tourist attraction for Chinese SEGA fans. Unfortunately it was removed due to “security reasons” this May 🙁 , we miss it.